Notable Alumni: NFL players Tom Hicks, Matt Roth, Dan Sheldon; MLB players Jody Gerut, Dan Schatzeder. State Series History: Regional Champions: 1963, 1970, 2004, 2018. It has been a pair of back-to-back storybook seasons for the Willowbrook basketball program. 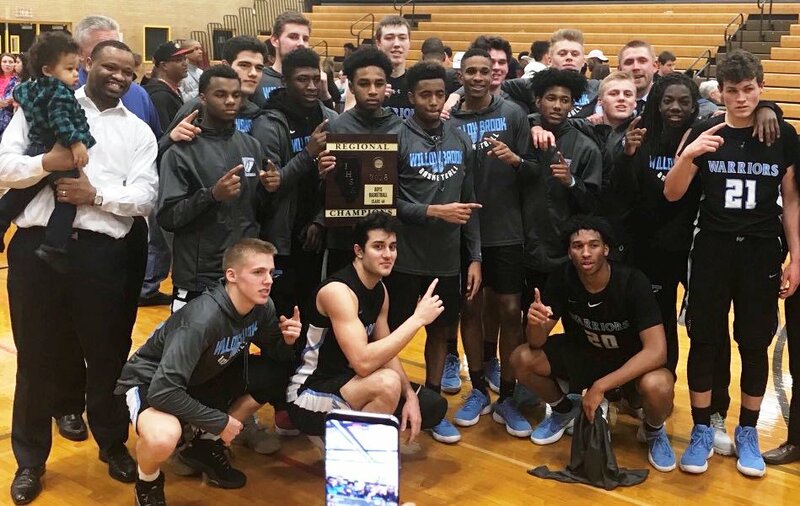 The Warriors have won 50 games in the past two years and captured their first Regional Championship since 2004 -- the same year that head coach Chris Perkins was a senior on that Willowbrook team. Returning for this season will be senior guard Matas Masys, who connected on 67 three-point baskets last year. Explosive junior guard Everett Stubblefield III was brought up to the varsity as a sophomore in mid-season and provided an energetic scoring punch off the bench. Last year Willowbrook set a school record for wins and captured the Regional for the first time in 14 years.